6 entries categorized "Resources: The World's Drinks and How To Mix Them (book 1907)"
I included this drink in The Art of the Shim: Low-Alcohol Cocktails to Keep You Level after discovering it in William "Cocktail Bill" Boothby's posthumously published 1934 book World Drinks and How to Mix Them. Unfortunately, I was not able to trace its origins back from that book. Boothby expert John C. Burton noted that many of the recipes in it appear to have been added by ghostwriters, as it is much expanded from his immediately prior book, Swallows. I called the drink the Boulevardier 1934 to distinguish it from the earlier bourbon-based drink found in Harry McElhone's 1927 book Barflies and Cocktails. Thanks to the research of French cocktail blogger Gaylor Olivier of The Perfect Drink, we can now retitle it the Boulevardier 1929. Based on the information he discovered in a book from that year, Cocktails de Paris by "Rip" (real name Georges Gabriel Thenon), we can assign this drink to 'Robert from Viel', a now defunct Parisian bar located at the time at number 8 Boulevard de la Madeleine. M. Robert took the grand prize with it at the barmen's championship which took place at Theatre Apollo in Paris on February 2, 1929. Proving with their sophomore effort that the excellent Bols Genever launch last October was no fluke, Lucas Bols brought San Francisco a great event in their new Classic Cocktails Series. Stephan Berg of The Bitter Truth was the guest this time providing not only his knowledge on "The History and Influence of Bitters" but also a set of tasting samples which few others could have assembled. These events are invitation-only, but have no fear, they are very likely to benefit you directly when you get a cocktail from any of the wonderful bartenders who attended. Herr Berg was very generous with his knowledge and the small tasting cocktails which accompanied the lecture were instructive, tasty, and occasionally inspirational. Not that there was any lack of knowledge, taste, and inspiration to be had among the attendees either; as with the prior event, the guest list was a who's who of great San Francisco bartenders and cocktailians of various stripes. Add to that the wonderful setting of Bacar Below, with Carlos Yturria, Katie Darling, and Kevin Diedrich mixing drinks & serving us, and delicious appetizers from the Bacar kitchen, it would be difficult to come up with a better way to spend a Thursday afternoon. Joe's going to be even more sorry he had to work and miss out once he reads this! Before my brain could settle down from the bartending power surrounding me (seated as I was between Neyah White and Jeff Hollinger), our host Tal Nadari, VP Marketing & On Premise Specialist for Lucas Bols in the U.S., kicked things off while we enjoyed the first taste of the the afternoon, the Brandy Cocktail (1862 Jerry Thomas recipe). Bols Genever, rather than squandering their promotional dollars on something superficial, have decided instead to sponsor a series of informative talks and tastings in categories around Bols Genever and classic cocktails. Four talks are currently planned for New York and San Francisco (of which this was the first), including an upcoming one featuring Wayne Collins on English classic cocktails. (I predict some delicious summer bar specials with a notably anglophile slant coming our way). With only a moderate amount of effusive praise, Tal introduced Stephan and we settled in to be edified. Stephan is from Germany and along with offhandedly but thoroughly pointing out all afternoon the surprising number of other Germans involved in the history of bitters, he brought a refreshing European perspective in his commentary. We should enjoy our good fortune it seems; he said it's hard to find so many bars in Europe who make their own bitters as we have here in San Francisco. He came to the craft of bitters creation out of his interest in classic cocktails and old cocktail books. He did not find it reasonable to be restricted to only Angostura bitters when all these other varieties were referenced in recipes and, as George Bernard Shaw noted, all progress depends on the unreasonable man. Thus we now are blessed again with a great variety of bitters from The Bitter Truth, as well as from the similarly stubborn minds of Fee Brothers, Gary Regan, Bittermens, and others. Bitters defined the category of the cocktail in old times and their role up until the passage of the Pure Food & Drug Act in 1906 was at least implied to be medicinal, if not right out claimed as a miraculous cure. Stephan showed delightful and outrageous 19th century advertisements for bitters as we sampled our first unusual taste of the day: Chartreuse Elixir Vegetal, dripped onto sugar cubes. It certainly tasted as though it could cure us of many ills. Lovely stuff. Though some bitters were made by doctors or apothecaries and included potentially beneficial ingredients, most were at best a laxative and at worst the work of a complete quack. Still, with limited other medical resources available (even aspirin didn't hit the market until 1899), the use of bitters was widespread. A bottle of early brand Drake's was pervasively present in saloons everywhere and so perhaps cocktails were inevitable. "If there's something in your bar, eventually you'll start mixing with it." At this point in the proceedings this adventurous spirit was demonstrated by many in the room being willing to taste some actual, over a century old Hostetter's Stomach Bitters. (Herr Berg is a kind and generous man indeed). I found the drop I tried to be very bright, almost minty. There were many brands of bitters, but one fewer than many might think. The 1862 Jerry Thomas book How To Mix Drinks just has a typo; there never was a "Bogart's" bitters. It's Boker's, and Thomas himself corrected it in a later edition. Cited also in Harry Johnson's Bartenders' Manual from 1888, Boker's was the bitters for cocktails in the 19th century. Next we tasted The Bitter Truth's own Celery Bitters, which won Spirit of the Year at the 2008 Mixology Bar Awards. These are recommended for Bloody Marys as you might guess and tequila drinks, but the tones of lemon, celery seed, combined with something ethereal and floral suggest many more possibilities await. (A little research in Google Books doesn't point much of the way, yielding only the Waldorf Hysteria, Hot Beef Tea and Frappé Beef Tea). While on the theme of bitters for health, some Underberg from the 1960s was next to pass around the room and it was a curious beast. Definite lemon peel notes but with a strange two layer action in the flavor, bright up top, dark below, nothing in the middle. Lest we become parched consuming only scant drops of old bitters, another drink came round to restore us while allowing detailed discussion of another classic bitters recipe in its context. This was the Gin Cocktail also from Jerry Thomas' 1862 book, made with Bols Genever, curaçao, and The Bitter Truth's version of Jerry Thomas' bitters. His recipe is public, but isn't widely available because it calls for Virginia Snakeroot which is banned, not only by the FDA in the U.S., but globally. Fortunately for us, Herr Berg doesn't want anyone to have renal failure, and has laboriously discovered another harmless member of the snakeroot plant family which has a similar culinary effect. The dried form of this safe version as well as a tincture of the dangerous Virginia Snakeroot were available for us to smell. Imagine a half-day version of one of the better Tales of the Cocktail sessions and you begin to get an idea of the gift that Bols Genever is bringing to bartending with these events. The second half of the 19th century is when all the forces came together for cocktails to blossom. Jerry Thomas' book and others which followed it provided guidelines which could be used by those opening up saloons, many of them immigrants. 150,000 people entered the saloon business in the United States between 1860 and 1900. Add to the pieces we already have - bitters, many saloons, cocktail and drink manuals - one more piece: Holland gin. In the 1880s New York City imported 360 times as much Holland gin as English gin. When you're looking at gin cocktail recipes of this period you must remember this fundamental flavor impact. As Tal said of the Gin Cocktail we were served: "This [recipe] does not work with dry gin." Our next taste was Holland's Pride, a recipe from The Flowing Bowl by "The Only William" Schmidt (another German, it was noted), and with this we came to vermouth. As we sipped at this, we admired photos of the covers of old cocktail books, almost all of them featuring a prominent bottle of bitters in the illustrations on their covers. The next drink got everyone's attention. It was a Martinez Cocktail, and what a drink! The recipe was from Byron's Modern Bartenders' Guide of 1884 and ours were made with Bols Genever, Carpano Antica, and Angostura bitters. It's hard to imagine that this cocktail could be better with any other spirits. I can be swayed on the bitters, but the pairing of the other two ingredients is a match made in heaven. The use of Angostura did provide an opportunity to regale us with the tale of a great legal battle waged for at least 3 decades by Siegart's vs. Abbott's over who had the right to the name Angostura. It's not clear who really had the truth of it - perhaps both of them if Angostura was just a style and not a recipe - but Abbott's prevailed in court in the end. A great mystery was resolved for me by the next recipe. I've always had a hard time figuring out how we got from the Martinez to the dry Martini, but the Marguerite Cocktail makes everything clear; the missing link revealed. It's from Stuart's Fancy Drinks of 1896, a book I've never seen before and which in company of all the other pictures in his slides suggests the breadth of Stephan Berg's collection (and that's a hobby about which he says "I can just advise you to stay out of it" in a weary and perhaps financially depleted tone of voice). The Marguerite is simple - 1 dash orange bitters, 2/3 Plymouth gin, 1/3 French (dry) vermouth - and pleasant. Tastes were becoming lighter and orange bitters enjoyed rising popularity in the 1880s. Welcome dry vermouth and dry gin to the scene; it's only a hop skip and a jump to the Martini Cocktail, and here it comes in its 1888 Harry Johnson version (ours were made with Noilly Prat). The Martini was, it turns out, so very popular that its ability to be made with English gin may have helped drive down the popularity of Holland gin or genever. About this point we got to taste a German Old Tom gin called Both's, which is now on my wishlist. Nice stuff, and a pretty bottle too. Things were going along fine in cocktail land, with some changing trends but overall a continued presence of bitters until the 1906 Pure Food & Drug Act cleaned up the outrageous claims and, in a new harsh world of realism, likely brought about the demise of many bitters companies, but one imagines, prevented the demise of many consumers. This cautious approach remains; Bols Genever took 7 months for FDA approval. After the Pure Food & Drug Act, bitters became more culinary, as is reflected in their advertising. Boker's vanished around 1910. Lest this thought prove too sobering for us, another tasting cocktail came out, the Bamboo Cocktail from local boy (and Bibulo.us favorite) William "Cocktail Bill" Boothby's 1908 The World's Drinks. We learned a little more of the background of this drink "originated and named by Mr. Louis Eppinger, Yokohama, Japan" as it says in the book. Eppinger was a San Francisco bartender who moved to Japan to tend bar. Prohibition of course closed the saloons and brought tighter scrutiny onto alcohol-based substances used "for medicinal purposes, honest, officer!". Few bitters survived, but Siegart's was in a lucky position being based in Trinidad. Cocktails had, to this point, been a truly American phenomenon with only a weak impact in Europe. Cocktail culture in the U.S. almost died out during the long years of Prohibition with drinks being reduced to their minimum form and spirits quality declining such that the subtle influence of bitters no longer suited the situation. Some bartenders retreated to the growing number of American bars abroad, which had started arising in the 1870s but didn't come into their own until the end of the Great War and the arrival of Prohibition. By Repeal Day, it wasn't so much a case of survival of the fittest necessarily as much as the blessing of a safe ecological niche; Siegart's Angostura Bitters had more or less the entire U.S. market alone. Abbott's tried to regain a place in the market but was in a week position against bitters produced by liquor brands to market alongside their spirits. Fortunately the popularity of the Manhattan and the Martini and the practice of still making them with bitters kept orange and aromatic bitters alive through the 1940s. Come the 1950s, though, and a bleak era for bitters began that lasted until the 1990s. At this point Herr Berg put up a slide titled "The damned James Bond". Angostura survived as a kitchen ingredient and, though not mentioned by our presenter, I have to think Tiki drinks may have played their part as well, along with fussy old retired men who like their Rob Roy just so. We bore up under the strain of hearing about these dark times with the Turf Cocktail, also from Harry Johnson, which showcases bitters in a nicely complex cocktail environment. From here out the news was good - the revival of classic cocktail drinking in the nineties (a big thank you here from Herr Berg to Dale DeGroff, and I'd also throw a nod toward Phillip Collins and Paul Harrington who certainly helped spark my interest) and the naughties, the host of good bitters makers now plying their trade, and, with a tour through classic bitters ingredients from cardomom & caraway to wormwood & calisaya (a.k.a. cinchona), the potential for more new and excellent flavors to come our way. What a long and strange trip it's been for bitters. If after all this we weren't treasuring them enough, then came the news that The Bitter Truth bitters are "made by hand, filled by hand, labeled by hand". They contain no glycerin, the alternative to alcohol as a preservative. Our finale was a Sazerac, using the Boothby recipe. Hard to go wrong with that. Tal Nadari stepped up to thank Stephan Berg for the presentation and raise a toast. Then he said, looking around at all the assembled guests, "Are there any questions, Neyah?" Everyone laughed, and of course, there were questions from the ever curious Mr. White, but here my note-taking gave out and you'll just have to go ask him about the different use over time and space of decanter vs. dashing bottle tops in bitters. The Bitter Truth bitters are now to be carried in San Francisco at Cask, on Third Street just off Market, which is excellent news. As the variety of flavors we enjoyed demonstrated, the more the merrier and the broader your array of bitters, the better equipped you'll be to create cocktails that transcend. The reproductions of classic cocktail manuals published by Mud Puddle Books (recommended by Stephan Berg during the event) may also be available at Cask or can be purchased online. 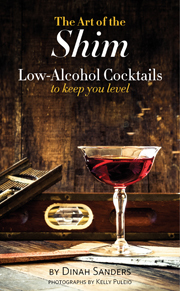 As is David Wondrich's book Imbibe!, also recommended - "fantastic book!" Many thanks to the team at Lucas Bols and to Debbie Rizzo of DRinkPR for inviting Bibulo.us to take part in this event. From William "Cocktail" Boothby's 1908/1914 The World's Drinks And How To Mix Them. "Into a mixing-glass place a lump of ice, a dash of Orange bitters and a dash of cherry cordial. Add half a jigger of Sloe gin and half a jigger of Italian vermouth; stir until cold, twist in the oil from a piece of lemon peel, strain into a cocktail-glass and serve." Small, tart, sweet but complicated, and delightful. Photos of the complete book (probably the 1907/1908 edition plus 1914 supplement) from the San Francisco Public Library's collection. William T. "Cocktail Bill" Boothby (died 1930) was an American bartender and writer of San Francisco, California in the years before and after the 1906 San Francisco Earthquake. He tended bar for many years at San Francisco's Palace Hotel. Based on copyright registration for his 1907/1908 edition of The World's Drinks And How To Mix Them, he was a resident of or had an office in Mountain View, California in 1907. According to the introduction of the post-earthquake edition, the 1906 "Great Quake" destroyed the plates for his earlier version of The World's Drinks And How To Mix Them. Boothby's place in the growth of the cocktail is significant; his first bar manual in 1891 contained 20 cocktail recipes among the drinks; the 1934 book under his name contains 172 pages of them. * Bartender in New York, Chicago, Philadelphia, New Orleans, and Kansas City. * Bartender at Byron Hot Springs. * Bartender (or in his terms "presiding deity") at Hotel Rafael, San Rafael, California, in "the gay days when Baron von Schroeder was making history over there". * Bartender at the Palace Hotel, San Francisco. * Assemblyman in California in 1895. The 1908 edition of The World's Drinks & How To Mix Them begins "To the liquor dealers of San Francisco who unanimously assisted in my election to the Legislature by an unprecedented majority." 1. Cocktail Boothby's American Bartender (1891) (as William T. Boothby) This book was described in 1934 as "a scarce item for collectors" and went through three editions (1891, 1900, 1900), selling 50,000 copies. (Though there are said to have been 50,000 copies overall of the three editions, in email conversation with Jeffrey Masson in January 2008 we learned that as far as he knows there's only one remaining copy of the 1891 edition and 4 remaining copies of a 1900 edition (which might mean both 2nd & 3rd or just the 2nd edition. We hoped to clarify this in conversation with John Burton at one of the cocktail events this year, but haven't had the good fortune to meet yet. Jeff says John has two of those four copies and we look forward to basking in his Boothby expertise someday). Thanks to Jeffrey Masson for providing this scan.